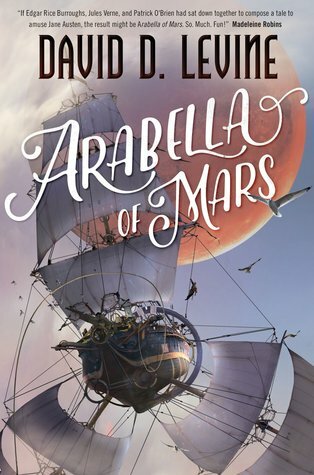 I was so glad when I learned there would be a sequel to Arabella of Mars, the book that first introduced us to the eponymous heroine who disguised herself as a boy so she could hitch a ride on an interplanetary trade ship to save her brother. I loved the book, but the ending was admittedly a bit abrupt — I wanted to know what happens with Arabella and Captain Singh, dammit! And now apparently I’ll get my chance. 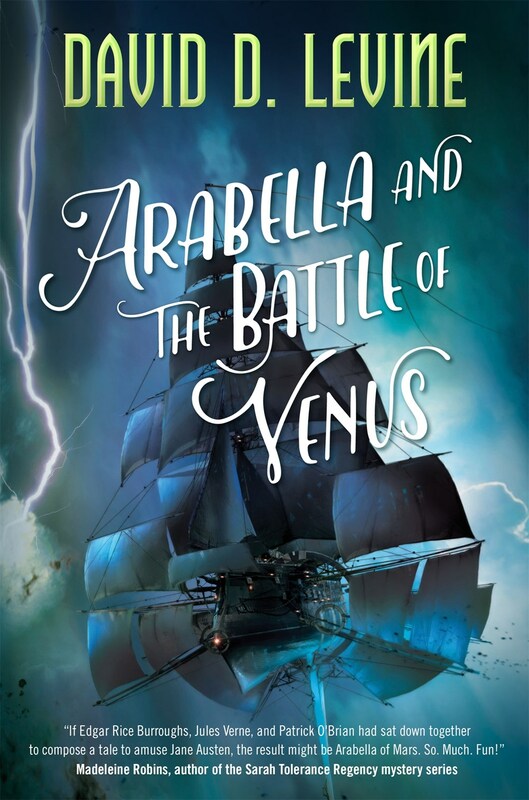 “The thrilling adventures of Arabella Ashby continue in the second book in Hugo-winning author David D. Levine’s swashbuckling sci-fi, alt-history series! I am so in love with the artwork on these covers too. Ooh nice! Totally new to me one here. But I really like the cover! So eyecatching! Hope you enjoy this one once you read it! Yay! I hadn’t heard about this, yet! I know, that ending was so abrupt! I’m excited to see what happens in the sequel too. Hopefully there’s a bit more actual, you know, romance between Arabella and Captain Singh because otherwise that’s a bit of a let-down. I know! I was none too pleased with the suddenness of the ending and the surprise developments with Arabella and Singh. Maybe we’ll actually see how well suited they are in this sequel. You’re right, the artwork is awesome. These sound like something I might like so maybe I’ll give them a try. Thanks for showcasing them. I’ve never heard of this series (at least I don’t think) but WOW the artwork is beyond stunning ♥ I need to check out the first book in the series…right now! Awesome! Love that cover. I liked the cover of the first one because airship, but this one… yeah, good stuff. I love the stormy background. I love the name of this and like you said the covers are gorgeous. Look forward to your review. I agree about the cover art. I am in love with 19th century sailing ships and it just makes them more amazing to show them sailing through space!! I have a thing for tall ships too, and I thought the three-mast designs here were pretty awesome! I’d not heard of this series before, but omg those covers! And the typography! So cool. I love anything with privateers/pirates. I hope you enjoy this book when you get a chance to read it!